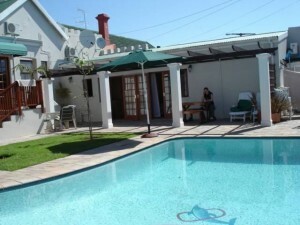 Ingleton Lodge is conveniently situated in the prestigious suburb of Mill Park, Port Elizabeth. This original home along with its Oregon floors and beautiful pressed ceilings has been lovingly restored to offer warmth and hospitality in a relaxed and homely atmosphere. The lodge is situated with in a short drive from the Newton Park Business Centre, Greenacres Shopping Centre, the Port Elizabeth Golf Club,Major Hospitals, the Port Elizabeth Airport, Kings Beach and the Boardwalk Casino. Whether you are in Port Elizabeth for business or pleasure, we are the place to stay. © 2019 Ingleton Lodge B&B. All rights reserved.